The New York Yankees and the Oakland Athletics square off Wednesday night at 8:00 EST for a win or go home game more commonly referred to as the Wild Card game. The previous 162 games have built up to these mere nine innings. If the Yankees want to come out as victors, they must strive to do these five things. 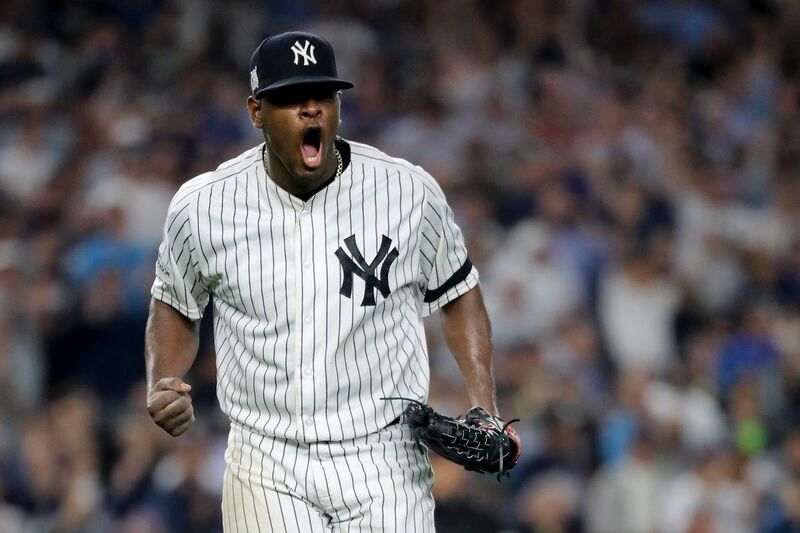 After much speculation on who was going to take the hill Wednesday night, Aaron Boone finally came out and announced it will be Luis Severino. Boone is taking a leap of faith here as Sevy struggled over the last two months of the season. Though, Severino will be hard-pressed to have a worst outing than he did in the 2017 Wild Card game (.1 IP, 4 H, 1 BB, 3 ER). If the Yankees want to win and set up a date with the Red Sox in the ALDS, Severino must pitch at least five innings of minimal damage baseball. By minimal damage I mean two runs or less. If you think about it five innings and an earned run or two should not be tough by any stretch of the imagination. But like previously stated, Severino has struggled down the stretch and did not pitch well in this spot last year. If he can give the Yankees an effective five innings, the dominate Yankee bullpen featuring Betances, Britton, Chapman, Green, Holder, and Robertson should be able to lock it down. I speak on behalf of all Yankee Nation when I plead to Sevy to not have a meltdown like last year. The 2018 New York Yankees team total of 267 home runs set the all-time major league record, breaking the 1997 Seattle Mariners total of 264. 144 of the Yanks homers were hit in the Bronx. This team can mash, and they love to do it in the comfort of their own home. 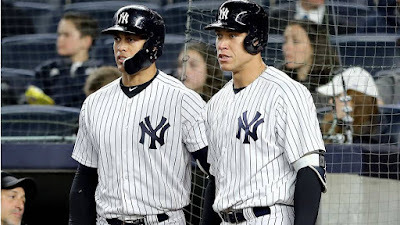 The Yankees are notoriously known for their short porch in right field, and every time the pinstripes hit a wall-scraper the Twitter world goes nuts. 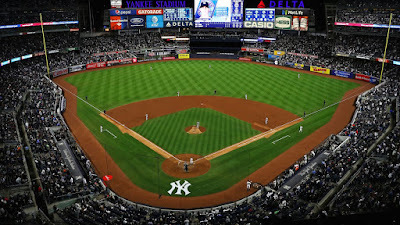 However, this is the Yankees' home stadium. They have embraced it, and they must use it to their advantage. The Yankees top five home runs hitters in 2018 were Stanton, Gregorious, Andujar, Hicks, and Judge. 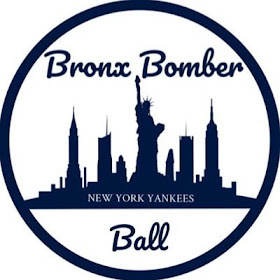 Out of their 146 combined home runs, over 60 percent of them were hit in the Bronx. These guys know how to hit in this ballpark. They know how to play its strengths and weaknesses. The A’s do not. The Yankees bread and butter in 2018 was the long ball, and now is not the time to turn away from it. Their order should look to elevate the ball and let their strength do the rest. If all goes well, it might only take a dinger or two to win this game. Even as a prospect, Gary Sanchez was never known for his fielding ability. He made his name with his big bat and cannon of an arm. Though he was never a great fielder, in 2018, and specifically the last few months, Gary Sanchez has almost become a liability behind the plate because of his poor fielding habits. In 74 starts at catcher this season Gary Sanchez has allowed 18 passed balls. The second most allowed was 13. In his last 92 innings behind the plate Sanchez has allowed five passed balls. This equates to one every other game. Countless times this season a runner has moved into scoring position or crossed the plate because Gary Sanchez let a ball get by him. This is unacceptable and something that could easily cost the Yankees in a one-game Wild Card. Having Sanchez behind the plate can also put doubt in the pitcher’s mind. The last thing the Yankees need is indecisiveness from a pitcher. Number 24 needs to stay square and keep the ball in front of him. 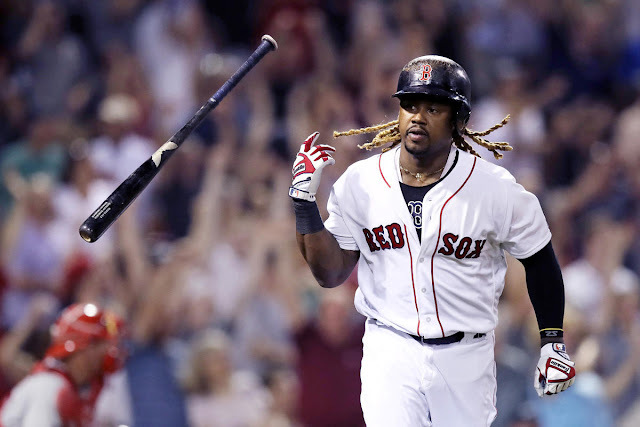 A pitcher not feeling comfortable in burying his curve or a runner cheaply getting into scoring position because signs were crossed is not something that can happen at this point in the season. Do not be surprised if Austin Romine comes in as a defensive sub late in this game. 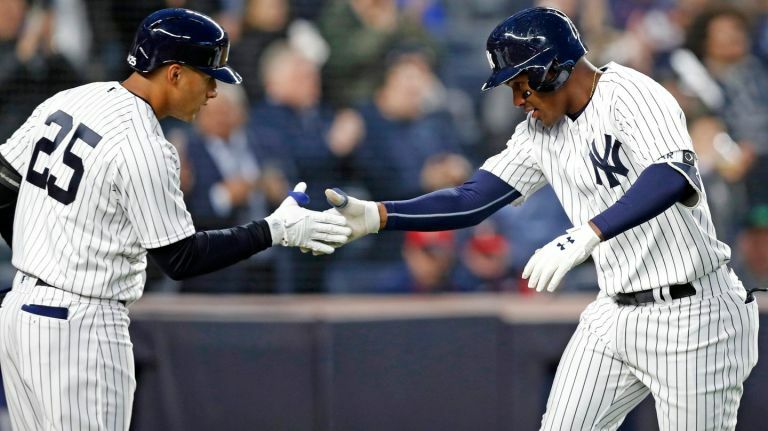 Miguel Andujar and Gleyber Torres were outstanding rookies for the Yankees and will both finish somewhere in the top three of AL Rookie of the Year voting. Their play helped solidify an infield that started the season with Brandon Drury, Ronald Torreyes, and Tyler Wade getting a good amount of at bats. Andujar, 23, and Torres, 21, have to play well in this game and show they belong on an October stage. Andujar and Torres help fill out the bottom of this Yankee lineup making it a nightmare for opposing pitchers. When they are clicking, the Yankee lineup may be the deepest in the league. Being rookies, neither of these guys have hit on a stage as big as October. Both have been cited as being mature beyond their years, which is a good sign. The Yankees don’t need them swinging for the fences, that’s what the 2-3-4 guys are for. Andujar and Torres need to grind out at bats and get on base anyway they can. If they can help stretch pitch counts and turn the lineup over I will consider it a win for the two rooks in their first taste of the postseason. 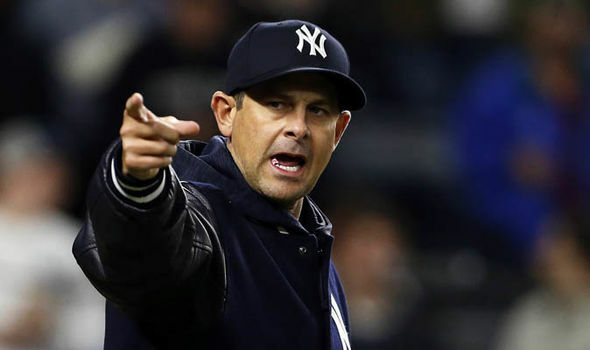 In his first year at the helm of the Yankees Aaron Boone has been heavily scrutinized for a number of reasons, despite leading the Bombers to their best regular season win total since 2009. In my eyes Boone has a clean slate and a healthy roster to attack October and bring the Yankees their 28th World Series ring. He can do this by being aggressive, and I already think he is on the right track by announcing Luis Severino as the games starter. Boone could have easily gone with the safe choice of J.A. Happ, a guy who consistently puts up six innings and rarely puts you in a deep hole. 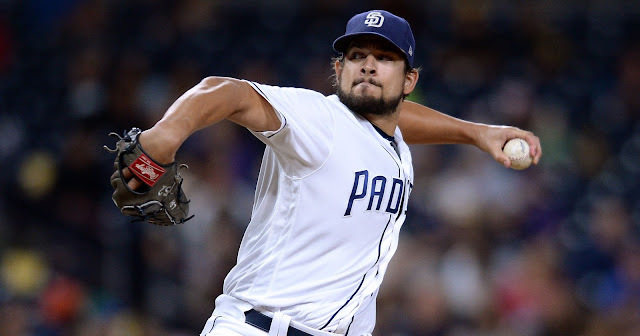 Yet Boone went with Severino who has struggled of late but is clearly this teams ace and has the best combination of pitches with his triple-digit fastball and whip-out slider. Boone must realize this is a win or go home game. He needs to be crafty, specifically in the later innings. If you bring a guy in from the bullpen and he immediately gives up a four-pitch walk, do not be afraid to yank him. If Gary Sanchez lets a few by, do not be afraid to yank him. The worst thing Boone can do is leave a guy in too long and explain to us at his press conference how he wanted to give the pitcher “one more batter”. It is unacceptable and will not lead to wins. This is Aaron Boone’s time to rally the fanbase and chase a World Series title.